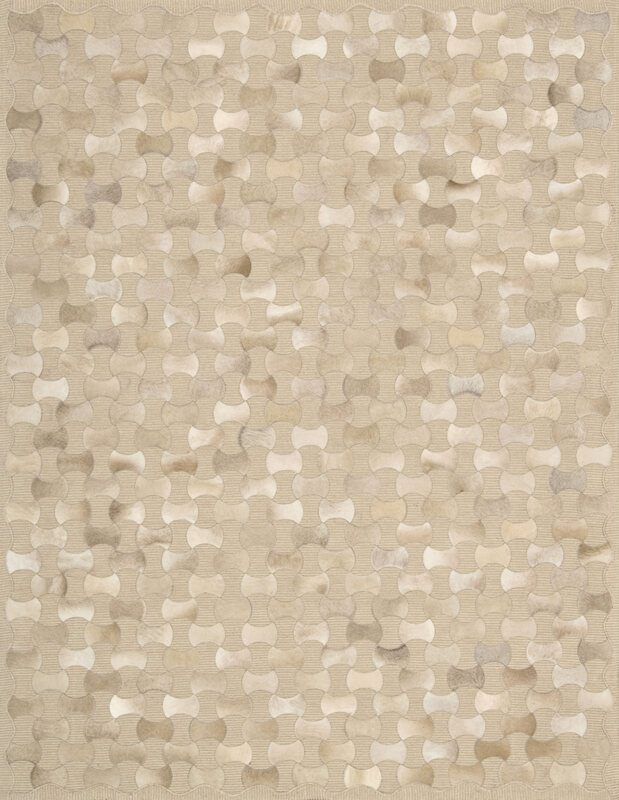 This dramatic tonal area rug is handmade of natural cowhide leather and cotton chenille. This combination of mixed media form an artistic pattern with varying hues and dramatic texture combining for a fashion forward and sophisticated style that's signature Joseph Abboud. Consumer note: This is an all natural animal skin product that with regular wear will change in look over time. This product is not recommended for high traffic areas such as dining rooms, and special care should be exercised when moving furniture.